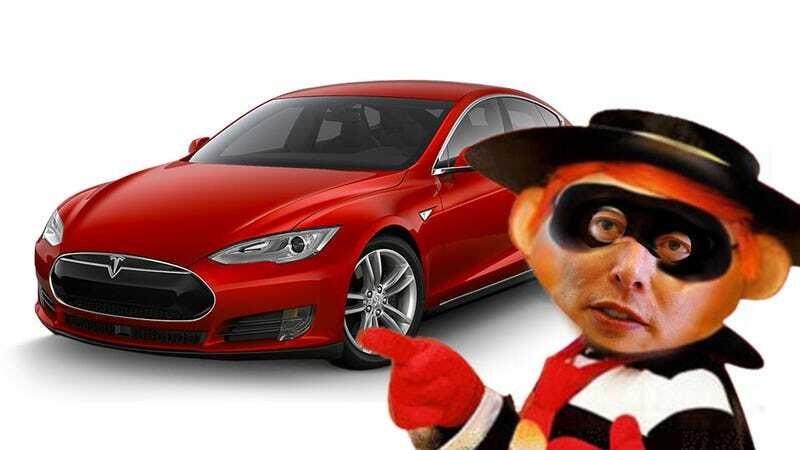 An article titled How Elon Musk Stole My Car certainly suggests some things. Things like, maybe Elon Musk stole a dude’s car. It’s safe to say Musk doesn’t really fit the carjacker profile, so what’s going on here, exactly? Did Elon Musk steal a guy’s car, or is this an aggrandized misunderstanding? The accusation comes in an article by Marty Puranik, CEO of cloud computing firm Atlantic.net, where he relates the tale of one particularly crappy customer service experience from Tesla. In a nutshell, here’s what happened: Puranik was looking at new cars, and was mildly interested in a Model S. He didn’t feel that the car was really worth the full price, but found that Tesla offered “inventory cars” at reduced prices. An inventory car is one used by the company, for test drives, loaners, showroom cars, etc. These have more miles on them than a brand-new car, and you can only get them as they are, not to your custom specifications, but they’re available at pretty good discounts. It’s not just a Tesla thing, either; tons of dealers do this. Working with a sales rep, Puranik found a car he liked and paid a $4,000 deposit. He said that he got confirmation that the car was secured for him, and received a VIN number and information that shipping plans were being made. On the evening of January 7, the day before I was to receive my car, Kevin called me to explain he had a call in with the Office of the CEO at Tesla and was working with his team in Tesla to resolve a problem that had come up—their CEO, Elon Musk, had taken my car and was using it as his personal vehicle to test a new version of autopilot. Even worse, he said he could see all the calls I had made into the Orlando delivery center this past week, and no one was taking my calls because no one knew what to do. Puranik said Tesla attempted to find a suitable replacement car, but without luck, and eventually offered another car for $20,000 more, which Puranik found unacceptable. In the end, Puranik cancelled his order and got his money back. Unfortunately, due to human error, a car from our test fleet was offered for sale. We apologize that this led to a frustrating experience. We are working to ensure that it never happens again. I also spoke with a Tesla representative, and from what I was able to infer from the conversation is that what happened was that the car Puranik wanted should never have been offered for sale in the first place. It was a mistake, human error. So what’s the takeaway here? First, Elon Musk didn’t steal this guy’s car. That’s just a clever way to phrase this to get attention, and it worked. That said, Tesla fucked up here, pretty significantly. The car wasn’t supposed to be offered for sale yet there it was, in the system as available for sale and suggested by a Tesla representative. Not avoiding the guy’s calls just because they were, what, panicking? Get it together, nerds. The company probably should have honored the guy’s original deal and spec’d him a car like he wanted and eaten the cost. They made the mistake, took the man’s deposit, and promised him a particular car. Making right on this would have cost, what, $20,000 or so? Sure, that’s a lot of money, but it would have gone a long way to show that Tesla is committed to providing the sort of customer service people expect from a maker of $100,000+ cars, sold and serviced through a still-new sales model. What Tesla did may not be right, but it’s also not really accurate to say Musk stole the car. So if you live near the guy, I don’t really think you need to get a second Club for the steering wheel of that 1985 Subaru wagon you keep parked on the curb. You may want to be extra careful if you’re buying a demonstrator Model S, though.